It's been a rough summer for music streaming service SoundCloud. In July, the company laid off 173 of its employees -- almost half of its workforce -- prompting speculation that SoundCloud was headed for bankruptcy, acquisition, and/or a total meltdown. Alex Ljung, SoundCloud's now-former CEO, tried to mitigate these disastrous rumors in an interview with Tech Open Air in July, during which he said of his former employees: "These are incredible people--incredibly talented people, who, you know, I have no doubt will be able to get new jobs, but it's incredibly sad and obviously very impactful for them." Ljung went on to say that the layoff came from a change in strategy; SoundCloud would be focusing more on profitability in the future. Much of Ljung's interactions with the media and SoundCloud users since July have been constant reassurances via blog posts, interviews, and Twitter. He has mentioned repeatedly that SoundCloud is not going anywhere. In a July letter following the SoundCloud layoffs, he stated that the company would "continue to be the place for what's new, now and next in music, powered by the world's most diverse music community". I'm happy to announce that together with investors The Raine Group and Temasek we've just wrapped up the largest financing round in the history of SoundCloud. This financing means SoundCloud remains strong & independent. As I said, SoundCloud is here to stay. This emergency funding comes hand-in-hand with a change in management. 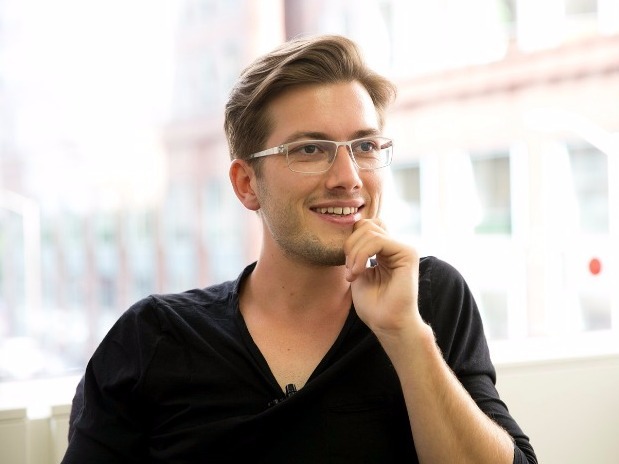 Alex Ljung is stepping down as CEO. He is being replaced by Kerry Trainor, former CEO of Vimeo. Trainor left Vimeo in July of 2016, after four years of productive revenue growth at the video streaming company. Hopefully he can work some profitability magic for SoundCloud, which has been criticized for spending too much on its offices in trendy cultural centers like London's Stephen Street and San Francisco's Mission District. Since the July layoffs, both the London and San Francisco offices have closed. Though rumors of acquisition started circulating around the time of the layoffs, Ljung's letter hints that the company aims to remain "strong & independent." The company's appeal to potential buyers may have fallen after it was revealed last winter that the company's losses were increasing considerably faster than its revenue. Alexander Ljung will not be leaving the company. Instead of being CEO of the company, as well as Chairman of the Board, Ljung says he will be focusing only on his duties as Chairman. Among Ljung's and SoundCloud's up-and-coming artists are independent musicians like Kehlani and Kygo. Chance the Rapper, lauded for ability to avoid the influence of major music labels, tweeted his support of and belief in SoundCloud after the layoffs in July.